Good afternoon, guys! Happy Monday. Today I decided I would share with you my skin, hair, and vitamin routine! Over the last couple of months I've been trying my best to grow my hair. I just felt like it was stuck in that in between- not long, not short, just medium and awkward. 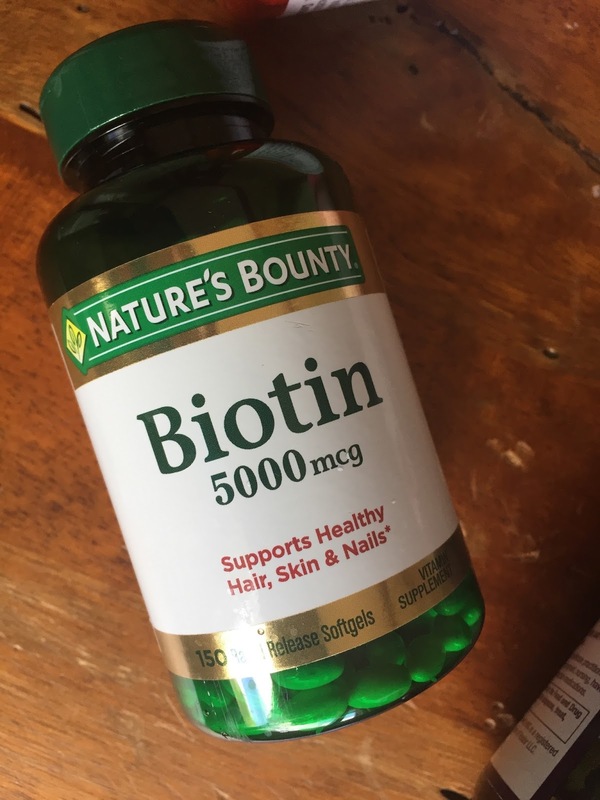 So I decided to stock up on vitamins and hair oils to help it to grow, and I've seen great results. 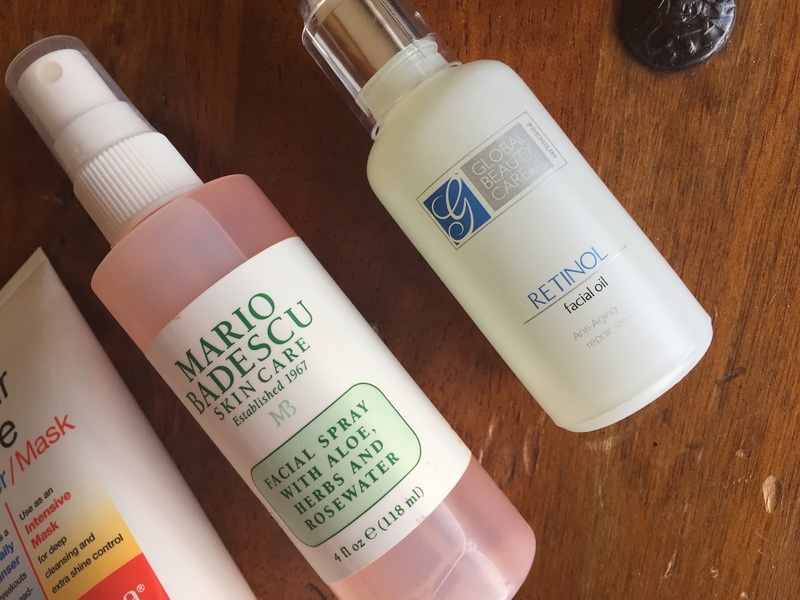 Read on to see what products I use! Anyway! Let's start with skincare. 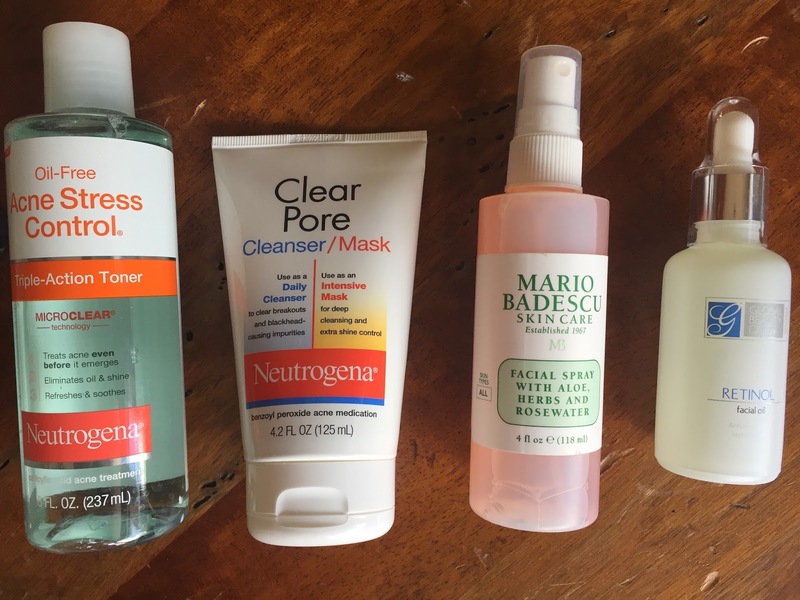 I have used the same Neutrogena products since I was in eighth grade, and they have kept my skin healthy and clear since then. If it's nighttime, I first use the facial cleanser/mask. Rinse it off well. Then I take a cotton ball and apply the toner. Let that dry. Then I use the white tube as a night cream. Apply evenly to your whole face. Let that dry. Use spot treatment for any troublesome spots- I put it on my T area. Let that dry, then I'm ready for bed! If it's morning, I use the cleanser and toner. Then I apply three drops of the Retnoyl facial oil: one on my forehead, one on my left cheek, then one on my right. Rub it into your face and neck, then let dry. I then spray my face with the rosewater spray, and once that's dry I am free to apply my makeup! It moisturizes my skin and leaves me feeling fresh all day. 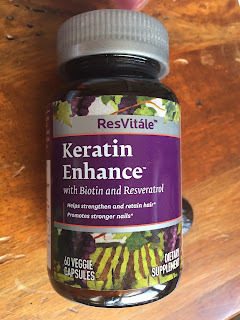 I use a combination of three oils to do a mask on my hair. Depending on how long your hair is, is how much of the mixture you will need, so it's completely up to you. I mix three parts olive oil, two parts castor, and four drops of tea tree oil. 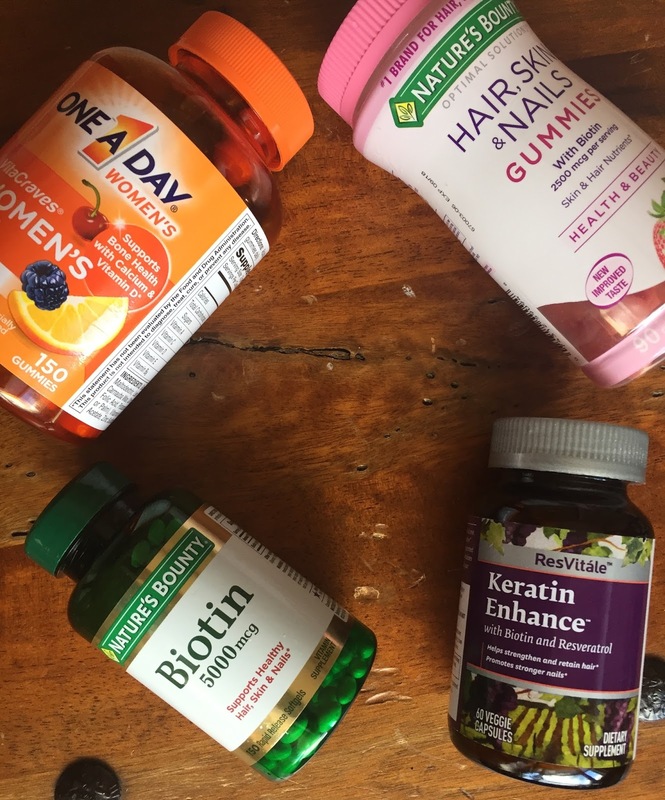 Mix that together, soak your hair in it for an hour, then wash it out. Do this once a week if you can. This Shea Moisture mask is one I found as The Christmas Tree Shop that I really wanted to try. If you're going to go with a mask and your hair is colored, make sure you choose a sulfate free one! 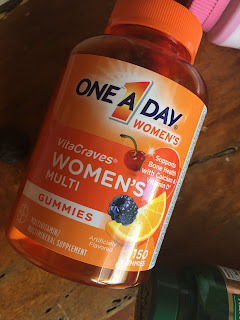 So I take two kinds of gummies and two pills. 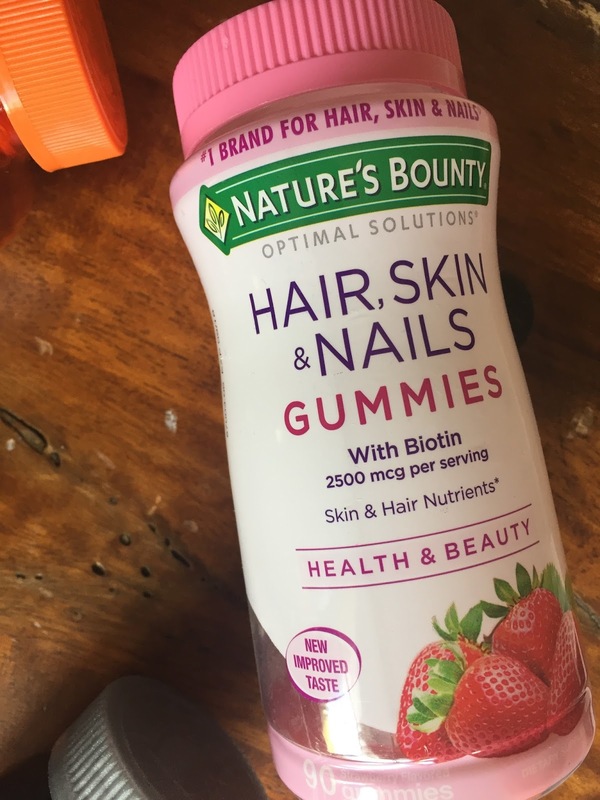 The first gummy vitamin is a general multivitamin and the other is specifically for hair, skin and nail growth. 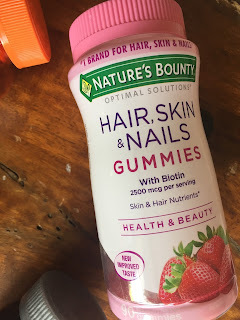 I take two gummies of each kind, then two tablets of the Keratin Enhance, then one tablet of the Biotin 5000. The key to vitamins is consistency, so if you choose to try them out, make sure you're taking them every day! So, that was long but that's what I do every day! If you want to see results, you have to take care of yourself and not get lazy. Take care of your bodies, and they'll take care of you. Enjoy this sunny Monday!